Cristiano Ronaldo took a pay cut when he transferred from Real Madrid to Juventus. But he’s still an incredibly rich man, and also a pretty generous one. Because he recently left an insanely generous tip at a hotel in Greece. The hotel in question is the luxurious Costa Navarino on the Peloponnese peninsula. Ronaldo took his family on vacation there after Portugal got bounced from the 2018 FIFA World Cup. 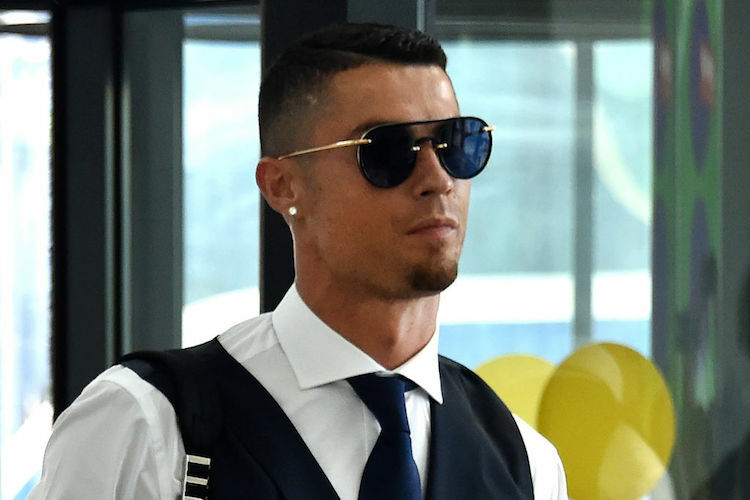 According to the Daily Mail, Ronaldo was so impressed with the service at Costa Navarino that he left an enormous tip worth roughly $23,000, saying he wanted it to be distributed amongst all the hotel’s employees. Keep in mind, tipping isn’t standard in Europe the way it is in North America. Hotel employees don’t expect any tips, let alone tips as generous as this. According to Forbes, Cristiano would have earned $66 million if he had stayed in Spain for the upcoming season. In Italy he’ll “only” earn $64 million, well below Lionel Messi‘s $84 million and Neymar‘s $73 million. That being said, Ronaldo makes way more than anybody else in endorsements. This year it’s estimated he’ll earn $47 million off the pitch, bringing his total annual income to a whopping $111 million. So yeah, the guy can definitely afford to leave a $23,000 tip.